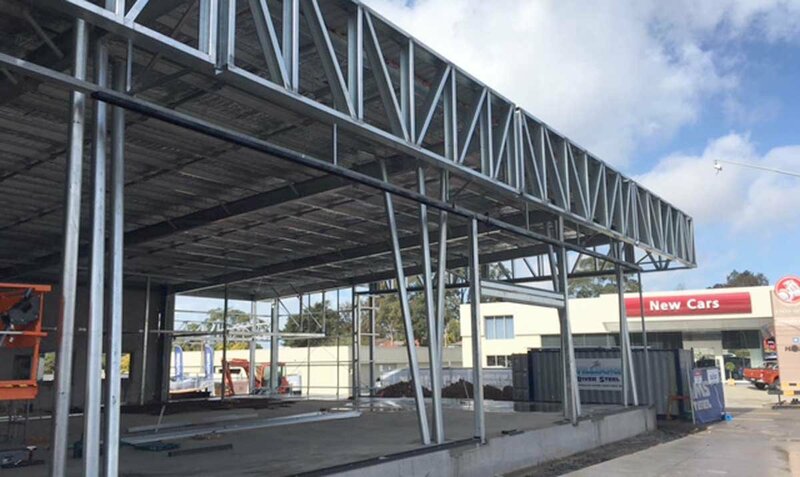 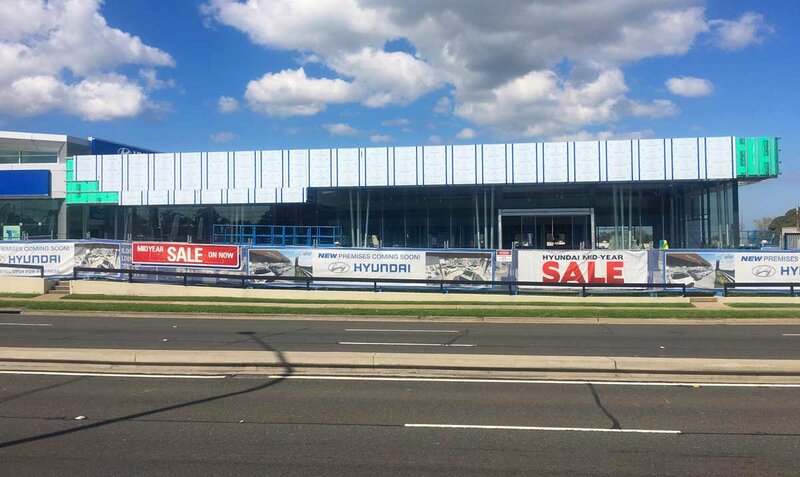 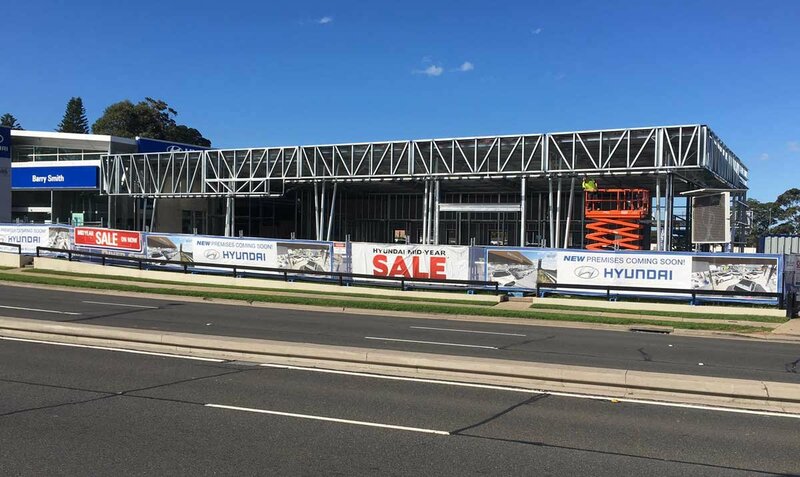 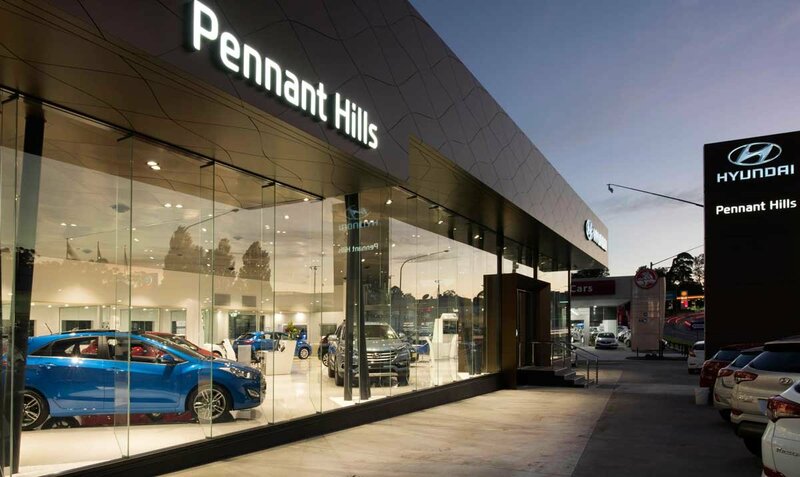 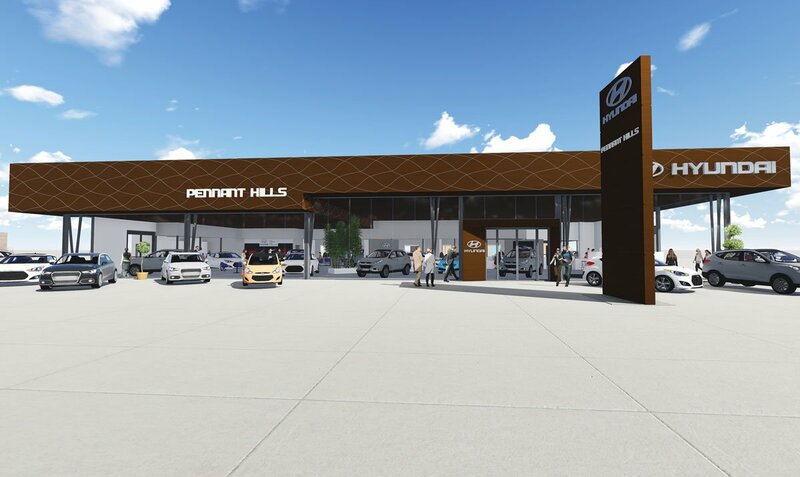 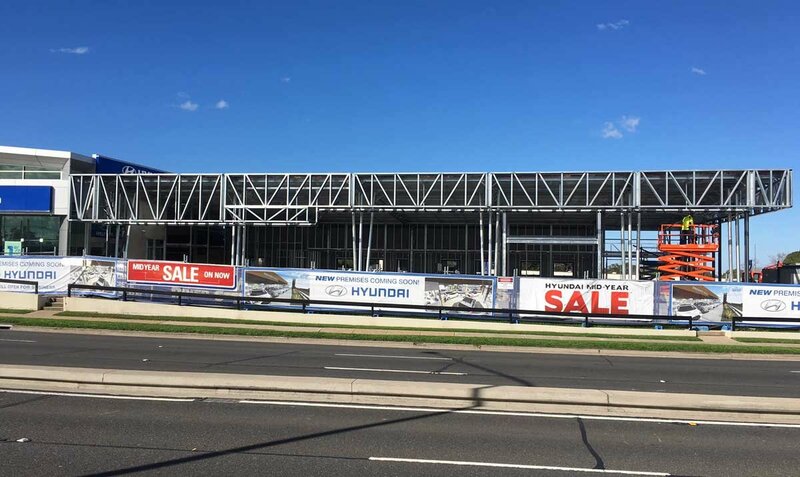 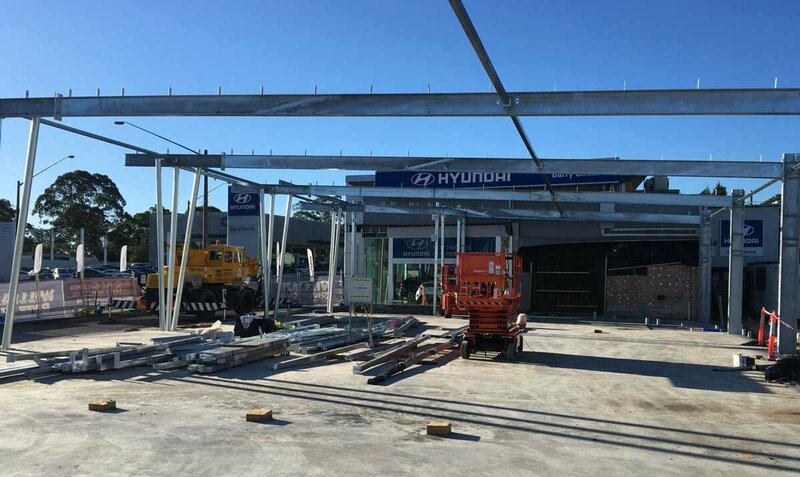 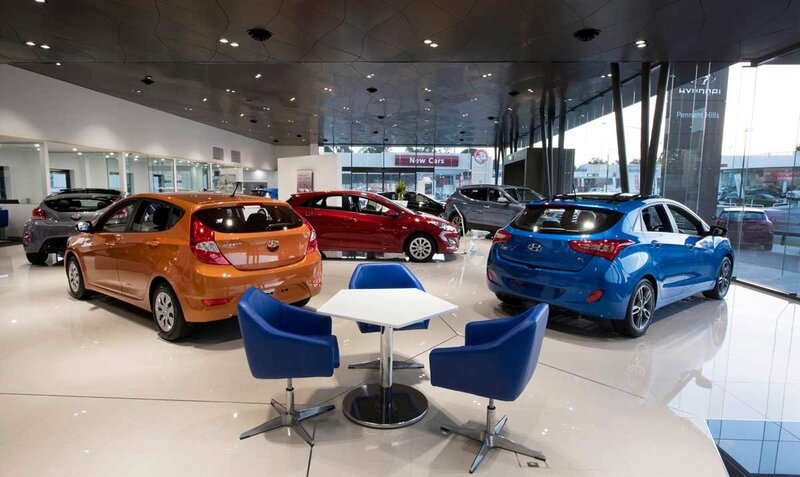 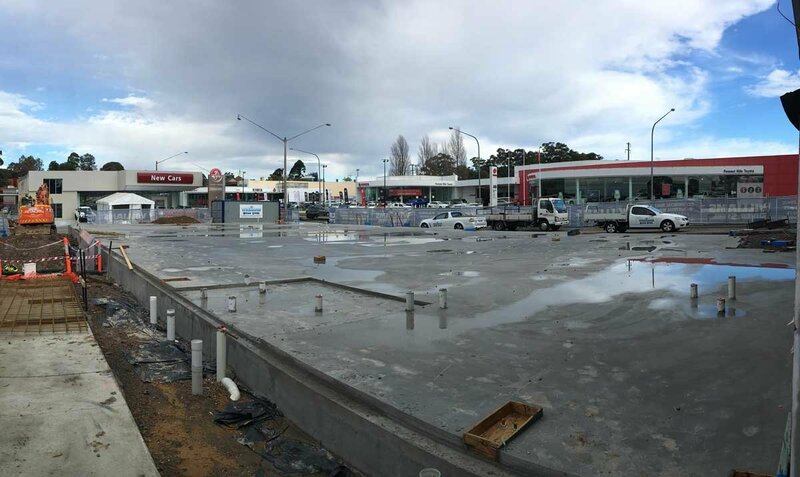 As the project is the first to be taken from ‘Hyundai artistic impressions’ to design and construction, we will be setting the benchmark for further dealerships across Australia. 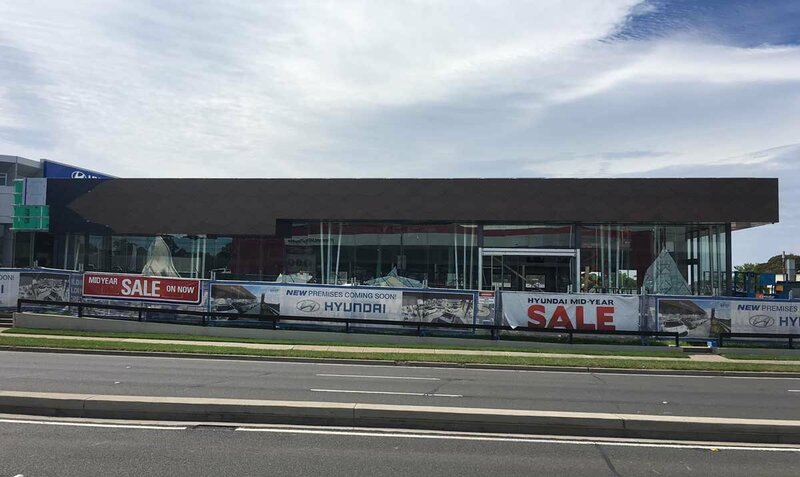 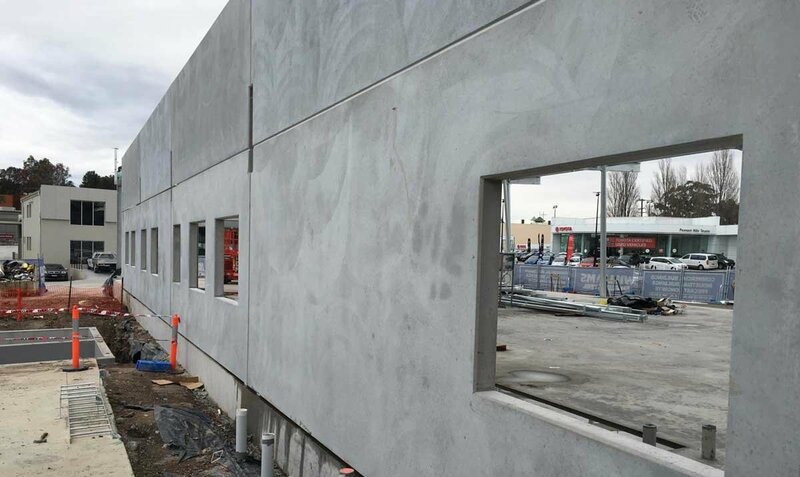 This new showroom will comfortably display 12 cars internally in the 800m2 showroom. 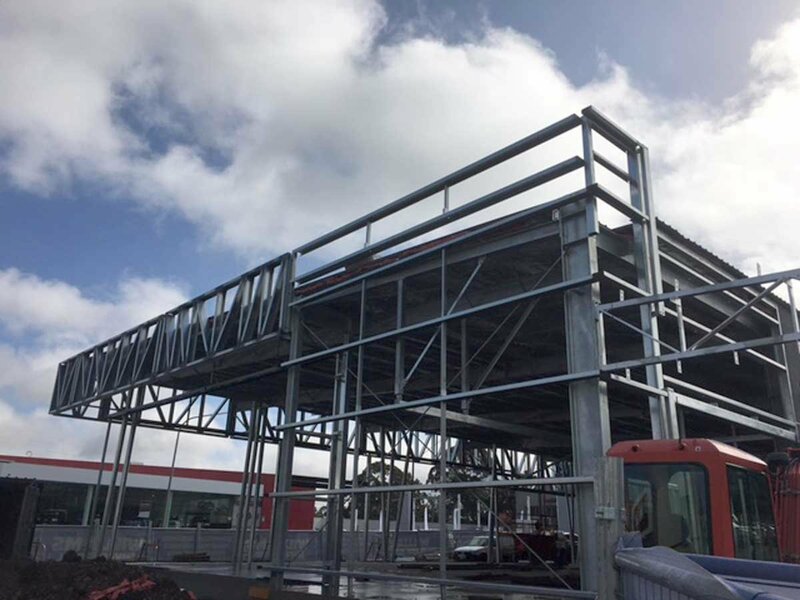 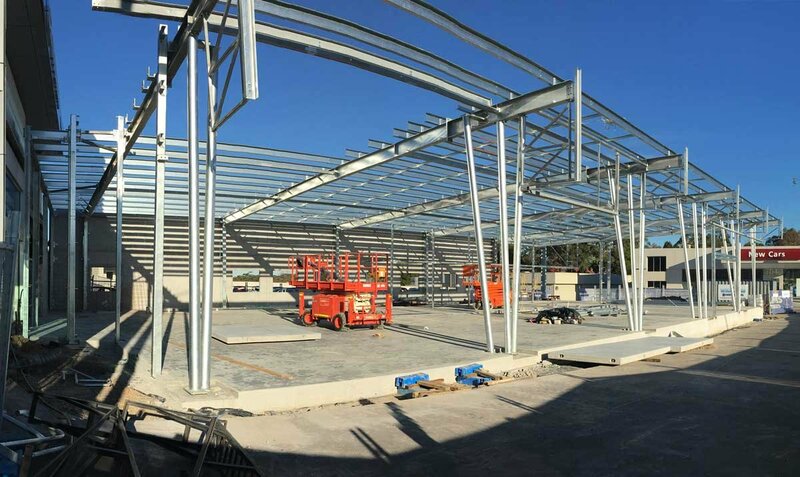 The building will also have a number of very unique features internally such as the structural columns at the front of the project which are to be manufactured from large 200mm round pipe, taking on the aesthetic appeal of tree branch at each bay. 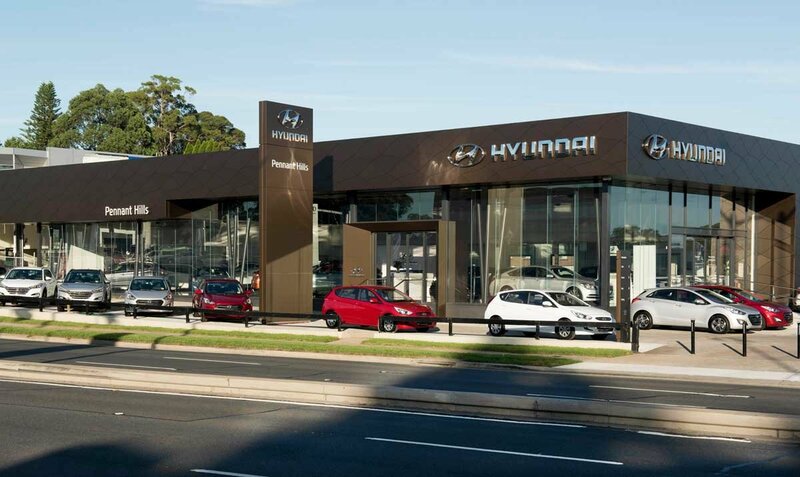 Combine the 10 offices, service reception, main reception, frameless glass, contrasting black tiles lead car zone and a large cantilevered all weather awning across the rear.